Seatronics, an Acteon company, leaders in the rental and sale of marine electronic equipment and Whitecap Scientific, developers of the ROV3D® Recon DVR, is pleased to announce a global distribution agreement that will see Seatronics invest in ROV3D Recon DVR rental units for their Aberdeen (UK), Houston (USA), Singapore, and Abu Dhabi (UAE) offices. Whitecap Scientific’s ROV3D Recon DVR allows any ROV with two cameras to generate measurable 3D point clouds of subsea structures and assets during routine operations. 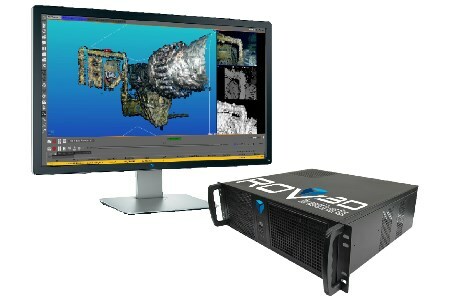 ROV3D point clouds are generated in real-time, with no need for post-processing. By seamlessly enhancing an ROV’s existing SD or HD cameras, ROV3D Recon makes spatial data accessible for every subsea operation. “We’re focused on making it easy for teams that rely on subsea video to get a more complete and measurable picture of their structures and assets during routine ROV operations,” said Dr. Sam Bromley, Managing Director of Whitecap Scientific. “Significant operational efficiencies are gained from having access to immediate, measurable 3D knowledge when you need it. Our partnership with Seatronics gives us broader access to industry knowledge and accelerates our global reach so subsea professionals anywhere in the world can seamlessly bring the benefits of 3D awareness to their subsea projects”. “Seatronics is focused on developing our product service offering via technology which will assist in the acquisition of data which can be used intelligently by our clients to lower the total cost of ownership of critical and dynamic subsea assets via life extension, lower risk of failure and reduced intervention.” says Phil Middleton, Managing Director Seatronics. “Sam and the team at Whitecap Scientific fit perfectly with our plans and we look forward to working together”.